Sally is MD of Tailor made holidays for Travelopia (Hayes and Jarvis, Sovereign and Citalia along with brands in Ireland and Scandinavia). Travelopia is the one of the world’s leading collection of specialist travel brands – including private jet travel, polar expeditions, sailing, adventure and luxury tailor made holidays. With a large international customer base, it serves over 70 destinations with a portfolio of more than 50 brands, most of which are leaders in their sector. She has a dual role and is also Chief Customer Officer across the core brands in the collection. 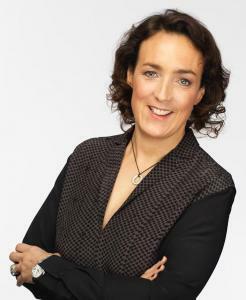 Previously, Sally was Consumer and Retail Director at Camelot, accountable for the commercial performance of The National Lottery across the UK, including the strategic development of plans and execution across all media and channels to achieve business targets and drive consumer loyalty and trust. The role included building a pipeline of innovation to deliver against the company’s growth ambitions. From 2006-2013, Sally was Marketing and Consumer Director at O2, where she had P&L responsibility for O2’s consumer business. She focused on differentiation through a customer-first strategy, including devising and implementing the O2 Priority proposition, offering consumers exclusive access to tickets and experiences across the brand’s sponsorship assets and strategic partnerships. Sally has also been on the board of the Marketing Academy since it was launched in 2010 and was a NED for The Restaurant Group 2014-2017.